Anywho…I wrote the piano tuner story to submit to an industry anthology years ago. One of the requirements was that it had to be set in Prague. I know people who have been to Prague. It’s known for Dvorák and Mozart, and impressive architecture. Only about one tenth of my story took place outside the apartment, if that. It was not chosen for the anthology. In fact, I’ve submitted four stories over the years to two different industry anthologies, and none of them have been accepted. The fact that those competitions are often themed makes the stories hard to sell elsewhere, but whatever. Writing is practice never wasted. I’m perfectly happy to set a story nowhere. An isolated mansion. A suburban condo. A backyard in summer. A mid-range hotel room. It’s part of the beauty of our U.S. of A. There’s anonymity out there if you want it. Though, now that I think of it, I also set a story in a Hall of the Gods that was definitely nowhere in particular. All of my novels are set in places I’ve lived: Virginia-3, Ohio-1, Kentucky-3, Missouri-1. The one I’m working on now is also Kentucky. The Virginia and Kentucky landscapes are similar, in parts. Devil’s Oven is the only one set on a mountain. I’ve never actually lived on a mountain, but I’ve lived in valleys surrounded by them, and hung around on a few. Close enough, I figure. The Cincinnati book is the one most colored by childhood memories of the town’s geography. (There are demons in that book, but I didn’t know any.) As I wrote, the image in my mind was of a big, old city, full of great hills hung with layers of narrow houses that were kept from falling into the river by a bit of dirt, hillside stairs, and a few trees. 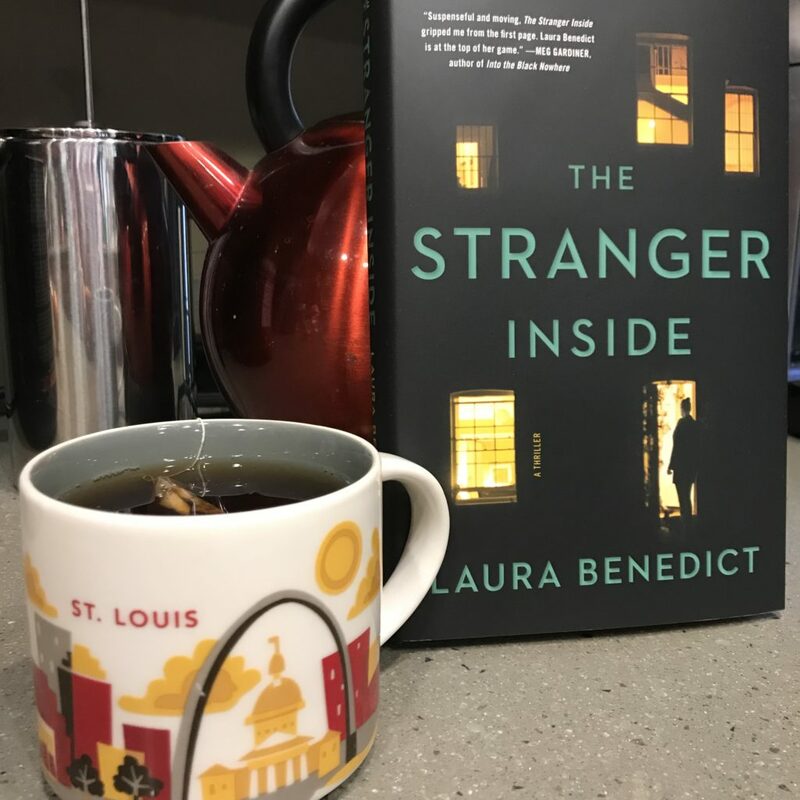 Before I wrote my new novel, THE STRANGER INSIDE, I’d only set a couple of short stories in St. Louis. The Missouri side of the St. Louis Metro Area is made up of 79 neighborhoods within the city limits, and dozens of small municipalities in St. Louis County. No matter if you are in one of these smaller municipalities, residents are either from North County, South County, West County, or the Mid-County. When I lived in St. Louis throughout the 80s, I lived in Ballwin (far west), University City in the (in-) famous Loop near WashU. Kirkwood (also west but southwest, sort of) and Clayton. There’s not a lot of geographical variation. The differences tend to be starkly economic and racial–not so different from any major urban area. In St. Louis, if someone asks you where you went to school, they mean high school. It’s midwestern in the sense that residents are generally friendly, no matter what part of town they’re from. If you’re from Ladue or Clayton or Glendale, people will assume that you’re wealthy, and if you’re from far South County you might as well be in the Ozarks, and if you’re from North County, well, let’s just say that if you live past or west of the airport, you might be looking at Iowa. Okay, I’m exaggerating. But the different areas do have distinct personalities. And if you look at the census data of the past couple decades you’ll see that it doesn’t change all that much. Most of my characters are from Mid-County–Ladue and Richmond Heights, with a bit of Webster Groves and Kirkwood to give it an old-time, leafy, suburban flair. My protagonist’s ex lives with his new husband in historic Lafayette Square in the house they once shared. She’s good with that. And one significant character lives in a high-rise apartment in the city, overlooking Forest Park. I confess I did make up a state park. And there may be a few fictional details at which a native St. Louisan may wrinkle their nose. So, apologies for that. What can I say? I plead fiction. Of course, all of these geographic details will matter little to the casual readers of THE STRANGER INSIDE. Unless they’re from or know St. Louis well, they won’t much see the distinctions. But the distinctions made a huge difference for me as I was writing. It’s not that I’m resorting to stereotypes, but just using a kind of character shorthand. That shorthand is very handy. I’m super excited about THE STRANGER INSIDE. It’s a psychological suspense novel. Sometimes it’s called a thriller. And there’s a murder mystery. The biggest difference between this novel and my first six is that there are zero ghosts or supernatural incidents. (My seventh was a cozy mystery.) It was a lot of fun to write. What about you? Do you write about faraway places? Or do you stick to places you know? Why or why not?